The Holy Spirit invited me with a whisper. He wanted a deeper relationship than I had ever known. This book is the extending of that invitation to you. Most books on the Holy Spirit explain what He does. This book helps you discover who He is, what He likes, how He feels. 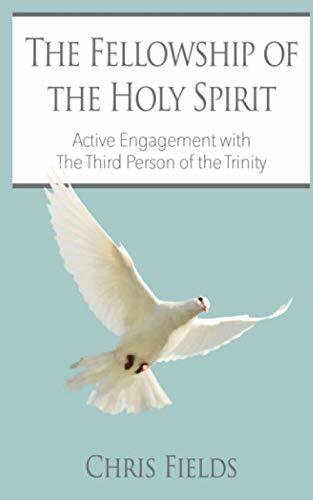 In other words, you can have a true, intimate relationship with the third Person of the Trinity and this book will help to launch you into it. So many teachings about the Holy Spirit have divided the church. This book focuses on Him as a person, more than on the doctrine or His ministry. Give time and focus as you journal, study, write and discover with the tools provided throughout the book. Some have asked, "Well what about Jesus?" Far from detracting in any way from Him, you will learn how the Holy Spirit is actually the delegate of the Trinity sent to dwell in you and to make Jesus known to you. We were created for this relationship. And now, more than at any other time in history, the Holy Spirit is brooding over the earth, searching for those hearts who are hungry for more of Him. Chris Fields is a happy wife, mother and grandmother. She worships as a life style, prays as she lives her life with her awesome husband, Charlie. Along with chickens, apple trees and watercolors, she enjoys writing. Her dream is to live part of each year in her native Ireland.